2 January. The captain of the Rebecca Hertz slips into Savannah at night with a full cargo from Nassau. Going to report his cargo at the Customs House, the captain finds an American flag flying over it and his ship is confiscated. It appears that the Rebecca had been the last blockade runner to leave Savannah before its capture by Union troops and that news of that event had not reached Nassau. 5 January. Today a fire breaks out at the Charlotte, North Carolina railroad depot, destroying a Quartermaster's warehouse and an estimated $20,000,000 dollars in buildings, military supplies, food, and clothing. Two engineers manage to couple their locomotives to waiting cars and pull them through the flames so, through luck and courage, little rolling stock is lost. 12 January. Fort Fisher on the Cape Fear River in North Carolina is attacked for a second time. [See previous month.] Fifty-eight Union warships bombard the fort. It is estimated that 100 shells a minute are bursting above and inside the fort. After 3 days of bombardment 5200 Union soldiers attack the 1900 defenders. In hand-to-hand combat, the fort is captured, but the cost is high in the war's largest sea-land battle: more than 1300 Union casualties and 500 Confederates. The Union now controls all Confederate ports. 14 January. Emil Frey, a Union captain who had been captured at Gettysburg, is released from Libby Prison. He promptly rejoins his regiment and will serve in the final campaigns in the Carolinas. After the war he will return home to Switzerland -- he had been touring America when he impulsively volunteered for the army. He does well at home, becoming president of the Swiss Confederation. Emil is the only known Civil War soldier to become the head of a foreign government. 25 January. Florena Budwin, age 20, dies of pneumonia at the POW prison in Florence, South Carolina. Disguised as a male, she had been serving alongside her husband when both were captured and sent to Andersonville. After her husband is killed by a guard, she remains in Andersonville until transferred to Florence. Only after she becomes ill, does a doctor realize that she is a woman. Florena's origins are a mystery; she seems to have given a false name. 31 January. Robert E. Lee is made commander-in-chief of all Confederate forces. 31 January. The U. S. Congress passes the proposed 13th Amendment to the Constitution. "Section 1. Neither slavery nor involuntary servitude, except as a punishment for crime whereof the party shall have been duly convicted, shall exist within the United States, or any place subject to their jurisdiction." Lincoln will sign the bill the next day and the amendment goes to the states for ratification. A well-told historical novel related by a young woman who was imprisoned during the Civil War. The story begins in southeastern Missouri where spoiled, outspoken Adair Colley, 18, lives with her bookish father, crippled brother, and two younger sisters. When Tim Reeves's Union militia burns their house and barn, taking her father prisoner, Adair and her sisters set off on horseback to plead for his release. Soon she comes in contact with Major William Newmann, who tries to convince her to turn in her brother so she can be released. Instead of a confession, Adair composes an elaborate fairy tale. The major is unable to deny his feelings for her, and urges her to escape just before he is transferred to the front lines. The rest of the book deals with her risky trek home and the major's exploits in battle and subsequent release from the army. This love story gives vivid descriptions of the dangerous countryside and glimpses into the horrors of war and its aftermath. Chapters begin with contemporary journal entries, letters, and news stories. Magical, lyrical, and hauntingly beautiful, this title is a must read for its strong female protagonist and a side of the Civil War not usually dealt with in history books. Concluding his Civil War saga begun in The Sands of Pride, William Trotter takes up the stories of his stunning array of characters-Union and Confederate, fictional and historic-in the closing days of July 1863. The South has lost at Gettysburg, the tide of history has shifted, and the fortunes of the Rebel side have begun, inexorably, to decline. Interwoven lives carry readers to the apocalyptic Union assault on Fort Fisher (the "Alamo of the Confederacy") in early January 1865-the largest amphibious operation in U. S. Navy history until the invasion of Guadalcanal in 1942. Featuring the brief but glorious career of the mighty ironclad ram, the CSS Hatteras, which finally emerged to challenge the Union Navy, The Fires of Pride is a richly textured, sweepingly dramatic epic, a towering work that combines deep scholarship with an intensely human understanding of the men and women of the period. Call Number: J WEL N.C. 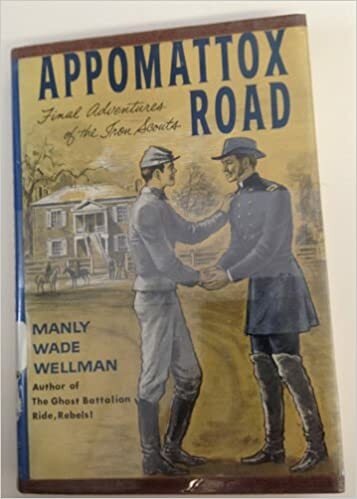 This story continues the adventures of Clay Buckner (see Ghost Battalion, April 1863) through the surrender at Appomattox. How the North won : a military history of the Civil War, by Herman Hattaway and Archer Jones, pub. 1982, 762 p."This is superb military history: analytic, comprehensive, discursive, controversial in the best sense and always stimulating . . . a book which has been and will be read and reread by students of the War, for information, fresh interpretation, and sheer enjoyment." --Dudley T. Cornish, Military Affairs. Woodworth presents an in-depth study of the military strategies of Jefferson Davis and Robert E. Lee and how their differences affected the outcome of the war. .. Davis wanted to be commander-in-chief of the armies more than president of the Confederacy and therefore took an active role in military affairs. ... Woodworth paints a clear picture of Davis' accomplishments and failures in military strategy and shows how the lack of a unified military strategy determined the fate of the Confederacy. Highly recommended for all Civil War collections. Silvey explores the fascinating secret world of women soldiers: who they were, why they went to war, how they managed their masquerade. A few left memoirs, diaries, or letters. Newspaper stories, pension records, and regimental accounts yielded additional information, as did the writing of male soldiers who became aware of women in the ranks. Undoubtedly, there were women soldiers whose true identity was never discovered or revealed. Accessible, accurate, and engaging, "I'll Pass for Your Comrade" invites readers to view the Civil War from an uncommon perspective and explores an often overlooked aspect of our history. Robinson gives us a fine history of Fort Fisher during the Civil War, adding to the existing literature perspective on the fort's place in the naval strategy of the Civil War. To the Confederates, Wilmington was an indispensable port for the vital blockade runners. The Union knew this perfectly well, but poor inter-service cooperation, an obsession with Charleston, and possible illicit connections between Northern merchants and the blockade runners combined to ensure that Fort Fisher was virtually ignored for three years. When the Union finally assembled its largest fleet of the war to take the place, continued poor military cooperation defeated the first attempt and made the second unnecessarily bloody. Robinson tells the whole story well, thanks to thorough research and clear writing. In this lively collection, "First Person Histories," pivotal historical periods are told in the words of young people who lived through them. Each book begins with a two-page introduction that places the diary and its author in a broader historical context. The youthful perspective is refreshing and, at times, unexpected. The bulk of the content is made up of the diary excerpts, while editorial sidebars expand on things mentioned in the diaries. The illustrations are made up of well-reproduced photographs, drawings, and maps. A useful and new take on history. This volume is by a 15 year old Union drummer boy. Gr. 3-5.